A garbage disposal or garburator is a device usually electrically powered and installed under a kitchen sink between the sink’s drain and trap. It works by collecting food waste from your dishes and shreds the waste into small pieces that can easily pass through your pipes to the municipality’s sewer system. Garburators are useful for getting rid of a variety of food scraps that might otherwise create unpleasant odors in the kitchen, and it can help to minimize clogs by breaking up food before it enters your piping system. When they get clogged or stop working, that’s when you realize the convenience they bring to your everyday life. Many foods can actually damage your disposal unit making it useless. Even the most efficient models cannot get rid of every item and may cause damage to your garburator or food waste disposal system. For service in areas such as Vancouver, Burnaby, Tri-Cities, Coquitlam, Port Coquitlam, Port Moody, Pitt Meadows, New Westminster, North Vancouver and West Vancouver please call 778-227-1119. Non- Food Items: When plates and utensils pile up, a fork or two can easily slip into your garbage disposal unit. Before you grind up anything, always clear out all the dishes in the sink, and check to make sure no non-food items have fallen inside. 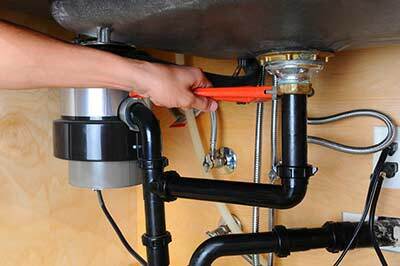 Grease: For the most part, garbage disposal systems can handle liquids. The problem with grease is that, when it cools down, it solidifies inside your drain and creates clogs. Fibrous Foods: Celery, asparagus, artichokes, chard, kale, lettuce, potato peelings, and onionskins should all be kept out of your garbage disposal unit. These items tend to get caught up and entangle in the blades causing it to jam. Starchy Foods: When uncooked pasta and rice are exposed to water, they expand. 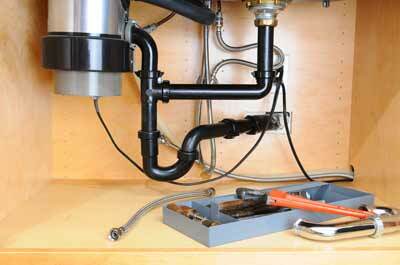 If you dump a sizeable amount into your garbage disposal unit it can cause clogs in your drain system. Coffee Grounds: Coffee grounds are another disposal hazard because they tend to get caught in the drain trap. Fruit Pits, Seeds and Apple Cores: These items are far too solid for your garbage disposal unit to process. You will do better to use them to contribute to your compost heap. Eggshells: The membrane on the inside of an eggshell can wrap around your garbage disposal unit’s blades, so do not put eggshells into the appliance. Bones: Bones challenge even industrial strength disposal units and are better to be collected with your compost. The disposal is jammed, (blades are not turning), or making strange sounds. A foreign non-food item such as, a utensil is stuck in the garb orator. Is it Time to Retire that Old Waste Disposal System? Trying to fix your garburator can often cost you more time and money than it’s worth. Sometimes a new disposal is a cheaper alternative than repairing the old one. Just like many other appliances, the newer garbage disposals are more efficient than older models, (not to mention quieter). At DJ Plumbing & Heating one of our experienced Coquitlam plumbers will be happy to come to your home, diagnose the problem, and advise you on the right products available to serve your needs and budget. Standard installations take only a couple of hours to install and after one of our experienced Vancouver plumbers has installed the unit, they will fully explain how to use your new system, along with, regular maintenance that is needed. Get your kitchen back to normal and give us a call today! If you run into problems with your garburator, you should seek the advise of a licensed plumbing contractor. Call us today 778-227-1119 or email info@djplumbing.ca.